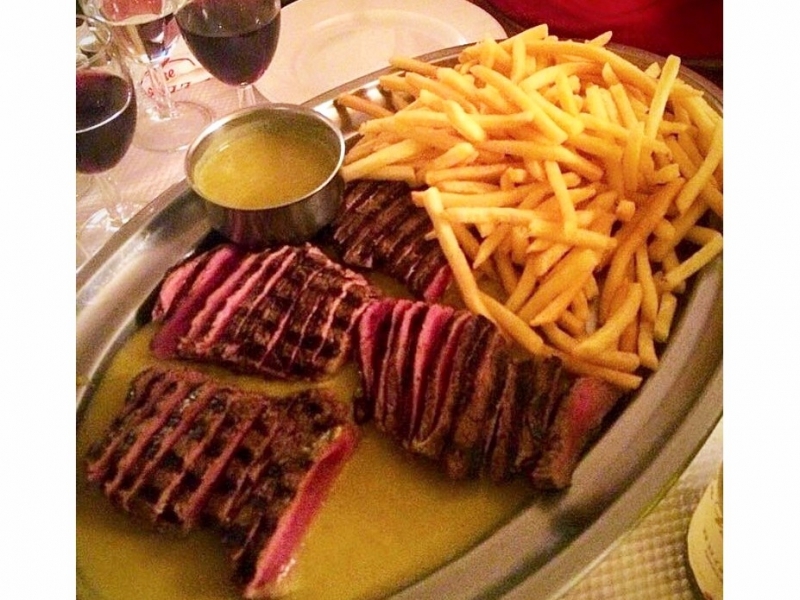 In France, an “entrecote” denotes a premium cut of beef, usually from the rib area to ensure maximum flavor. 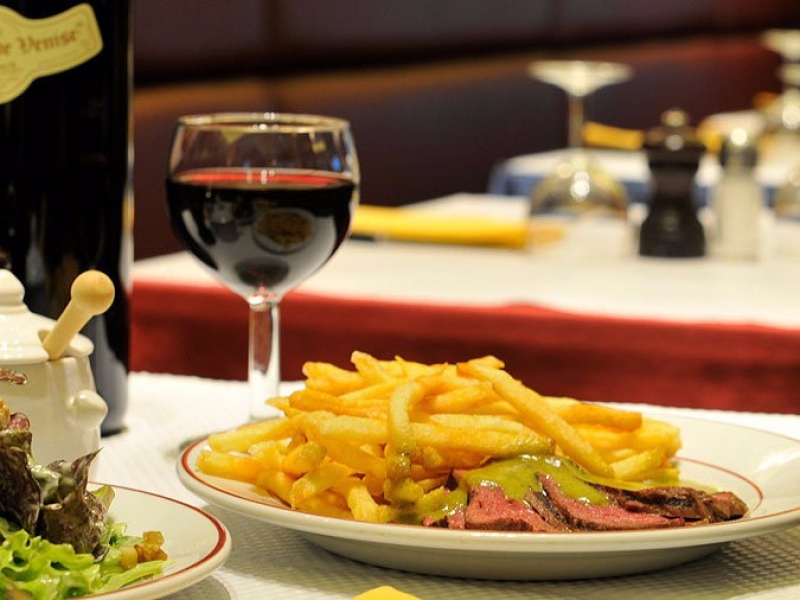 Paris has several “Le Relais de l’Entrecote” restaurants, and beyond the fact that they all seem to be family-owned, each is unmistakably a steakhouse – not the powerhouse kind like Manny’s, but every bit as dedicated to serving great beef. Sorry, entrecote. 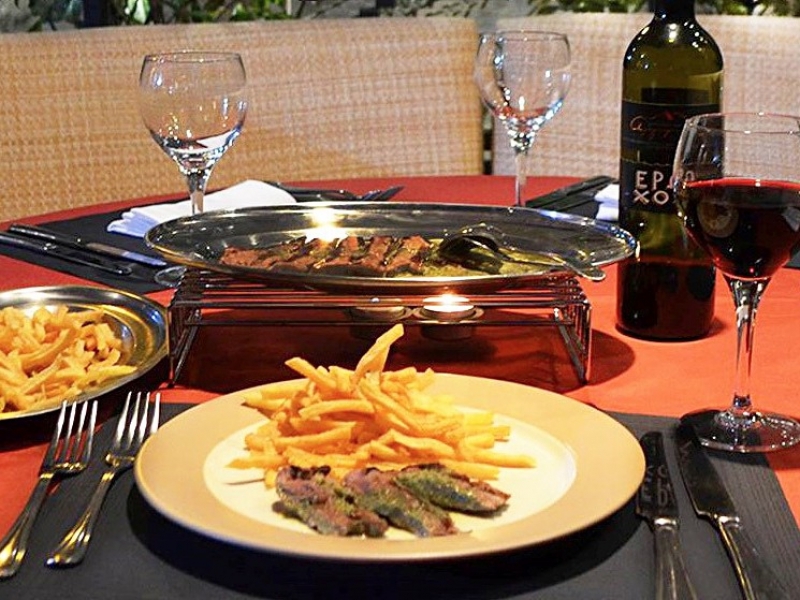 In fact, entrecote is pretty much all they serve, and it comes sliced on family platters with a proprietary buttery sauce on top. It is utterly delicious. 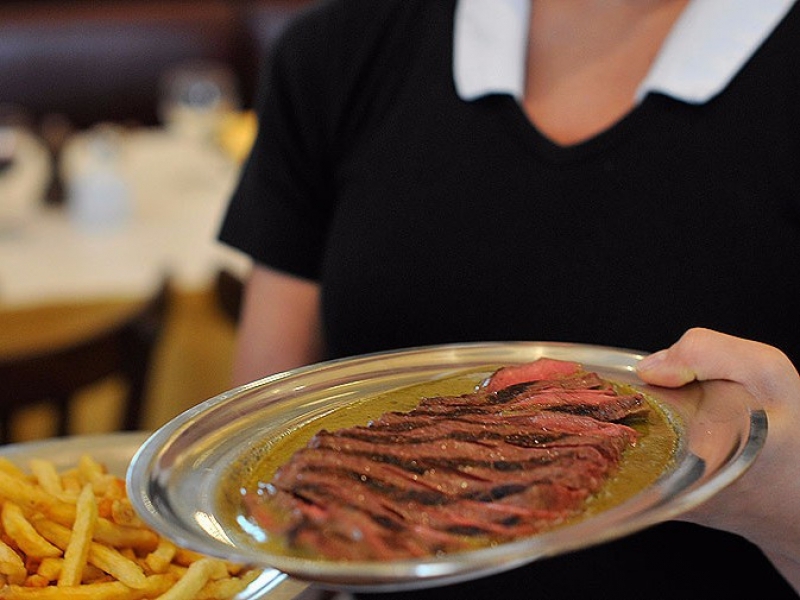 Other than the purity of their culinary vision, a few other things make the Entrecote restaurants unique – like, for example, the way they welcome kids (and not in a Chuck E. Cheese sort of way). First, no one will hear your kid squeal above the din here. Second, show me kid who doesn’t love French Fries (No fruit cups or raw carrots here). More than that, the fries at Entrecote are UNLIMITED. And they’re better than McDonald’s. What’s more, for a steakhouse serving beef of this quality, Entrecote is cheap – even when the dollar’s weak (which it isn’t right now). Plan on about 40 to 45 euros per person. Including wine (okay, it isn’t Chateau Margaux, but it sure isn’t swill). As for desserts, you’ll have a few choices. 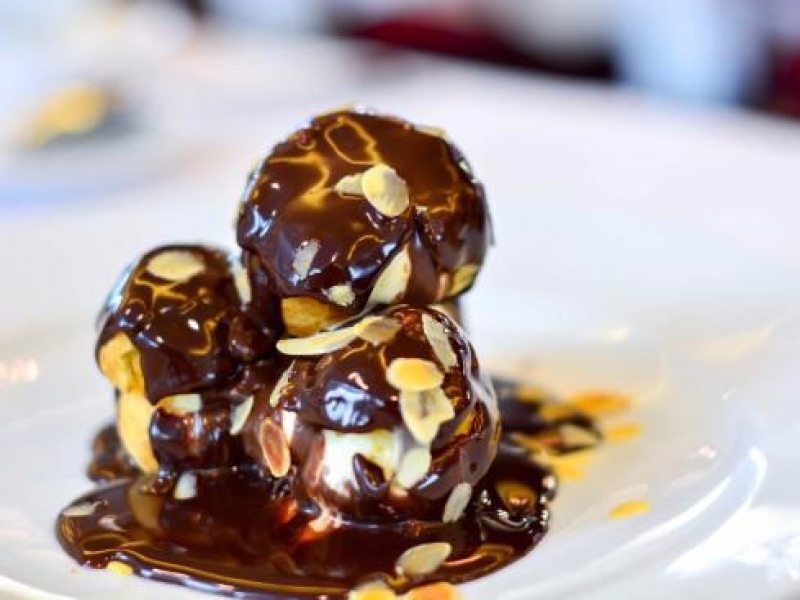 This wisest one is the chocolate profiteroles. 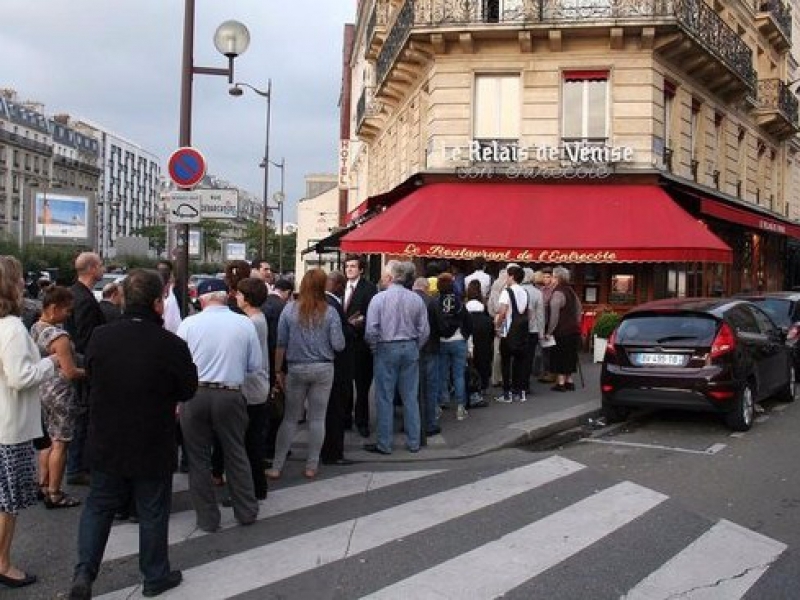 Know this about Entrecote: The restaurant doesn’t take reservations, and diners are packed in like sardines (oh get over it…it’s fun!). No coffee is offered either. 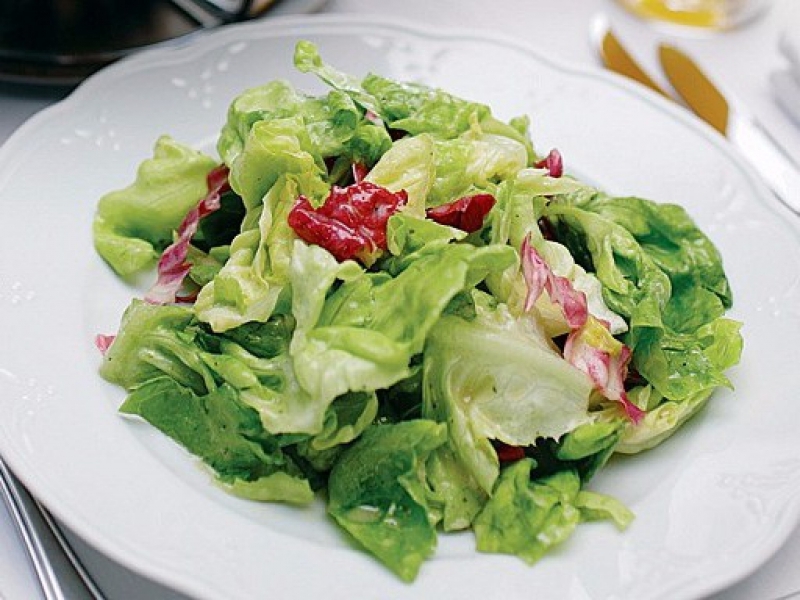 To enjoy these restaurants, you’ve got to be in the right mood. And if you’re a person who’s wound tight, don’t ever go. 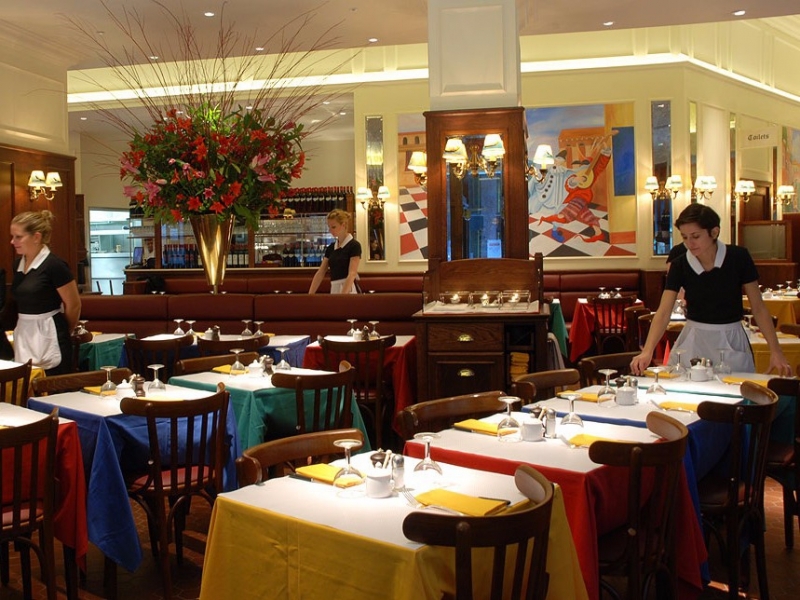 Entrecote is a place where you have to surrender to the crowd and just have fun – and more than that: indulge! One more thing: As I said at the beginning, there are a number of Entrecotes. 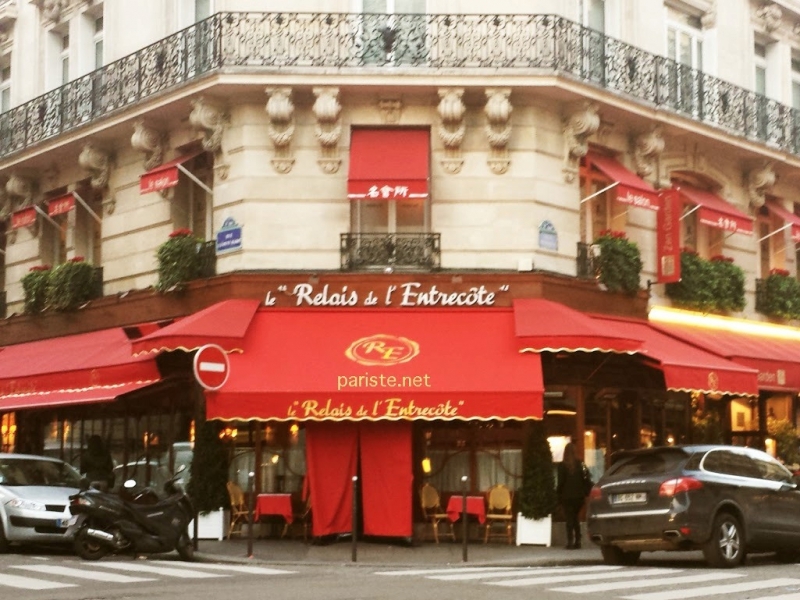 Most go by the name “Le Relais de l’Entrecote” with some variations. 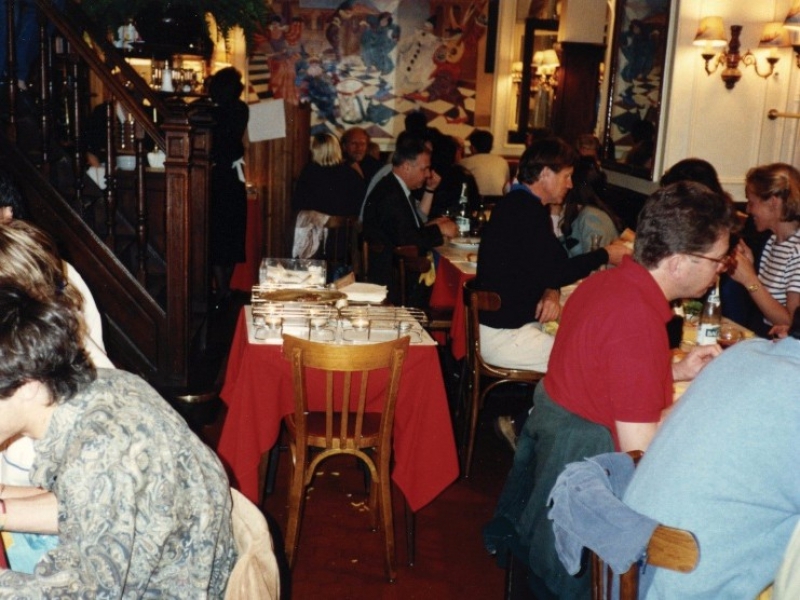 One well-known variation is Relais de Venise, located just beyond the crown of the hill at the Arc de Triomphe at the Porte Maillot Metro stop. It’s my favorite of the bunch. (By the way, should you be going to Geneva, it has a sister restaurant called Café de Paris next to the train station). PS I never recommend anyplace that I don’t like.